These. If your ever scrambling to “take a dish or appetizer to share”. Or if you’re not feeling like cooking breakfast, lunch or dinner. Or if you’re just in the mood for sweet, salty, tart, savory. DO THESE, you guys. All the time, DO THESE. They certainly aren’t rocket science, but they will totally make your summer dreams come true..the flavor/texture combo is one of my very favorites. And although they have been devoured by myself and my kids lunch and lunch again, they really are just so perfect for taking to a gathering or bbq…I can’t wait for you to try them! Place balsamic vinegar and sugar in a small saucepan and bring to a boil over medium high heat. Stir and reduce the heat to medium low. Let mixture simmer until reduced by half, about 10 minutes; chill. Can be made ahead and stored in the refrigerator for up to five days. 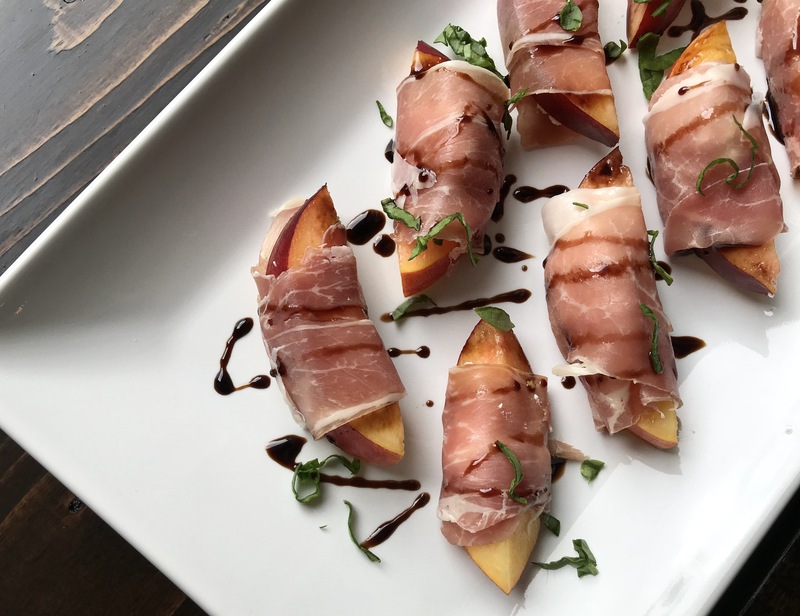 Lay out a piece of proscuitto and place about a teaspoon of goat cheese on one end. 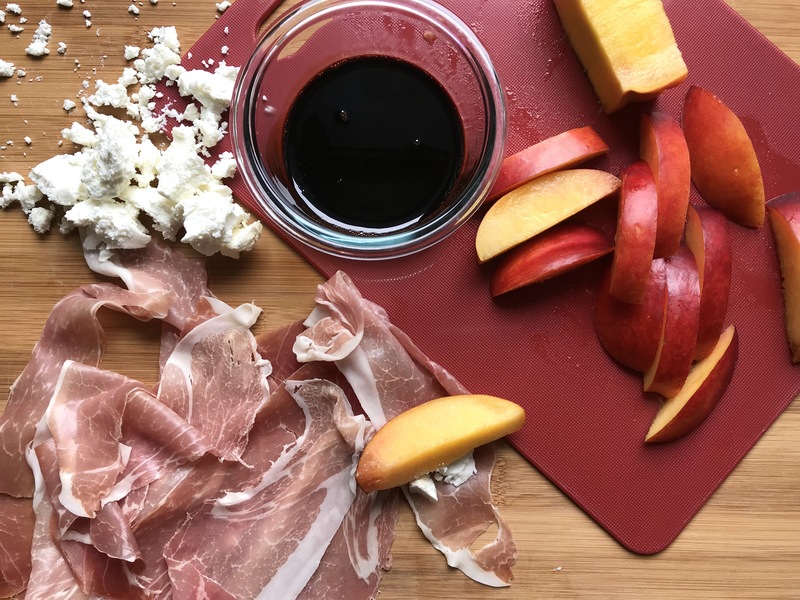 Lay a nectarine slice on top of the goat cheese and roll up; repeat with remaining proscuitto/goat cheese/nectarine. Can be made ahead and stored in the refrigerator for up to five hours. 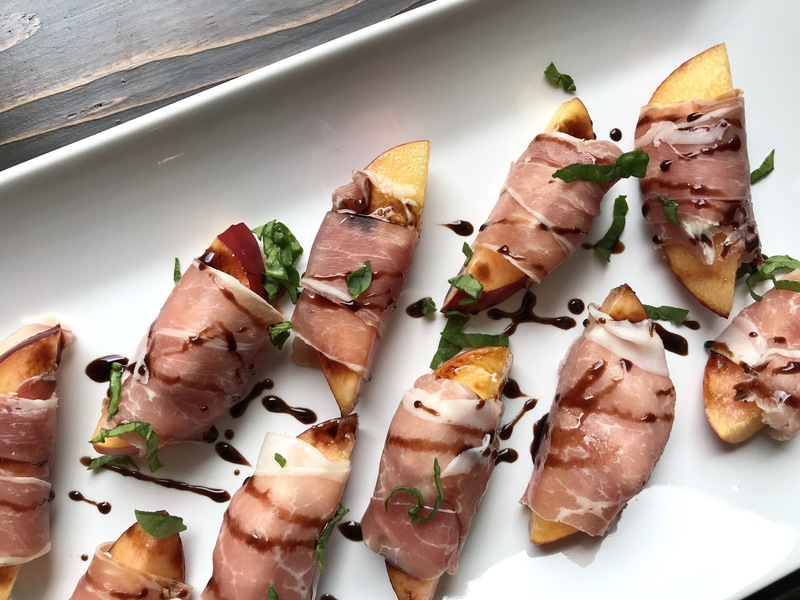 When ready to serve, drizzle the balsamic glaze over the proscuitto bundles and sprinkle with basil, if desired.